In 1999, after years of experience in landscape construction, Scot Eckley founded Scot Eckley Inc., a company specializing in residential landscape design and construction. Scot holds degrees in English Literature and Landscape Architecture from the University of Washington and has studied landscape design and construction in Boston, Massachusetts; Cuernavaca, Mexico; and Rome, Italy. 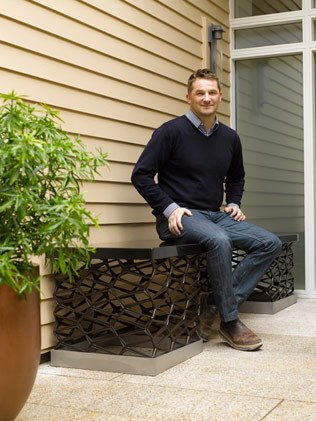 In a unique way, Scot brings a trained designer's eye to the challenges and details of landscape construction. He enjoys the process of working with and installing gardens designed by notable landscape architects, interacting with clients and creating innovative and cost-conscious solutions. His design interests involve using materials in new and novel ways and coming up with creative solutions for value engineering projects. Scot enjoys traveling with his wife, cycling and living in Seattle's Maple Leaf neighborhood.